If you’re currently using one of iOS 5 Betas, then here’s a quick heads up: iOS 5 Beta 6 has been released moments ago. If you’re a registered Apple developer, you can legally download it immediately. Although we were unable to try out this build yet, the more frequent pace of Beta releases (remember that Beta 5 was released less than 2 weeks ago) suggests Beta 6 to include nothing more than slight improvements and a bunch of bug fixes. The only way to download iOS 5 Beta 6 legally is to be a registered Apple developer. A developer registration is available from Apple’s developer website for $99 per year (if you don’t belong to a company) and won’t only give you access to pre-release seeds of iOS, it will also let you access exclusive developer-oriented tools and documentation. While this subscription is indeed mostly aimed at developers, it’s almost essential for any serious iOS enthusiast to own one. Who knows, you might actually become a developer one day. All developers are urged to update as soon as possible in order to ensure that their software remains operational on iOS 5, as well as provide Apple with accurate feedback. Updating is simple and can be done in two ways: using the new over-the-air feature which works without a connection to a computer, as long as your device isn’t jailbroken, or through iTunes. Keep in mind that you’ll need to update to iTunes 10.5 Beta 6 as well, in order to be able to sync your device afterwards. iOS 5, which was first unveiled at WWDC, Apple’s yearly developer conference, includes several new features and improvements that had been long-awaited by iPhone, iPod touch and iPad users. Among those, a few stand out; such as Notification Center, which automatically queues up all notifications sent by apps in an unobtrusive way; Newsstand, which organizes all magazine apps in a special folder for your convenience; enhancements to Mobile Safari, especially on the iPad, such as Reader mode and a new tab layout; system-wide Twitter integration, allowing users to send tweets from many native iOS apps; and small additions such as an enhanced Camera app and a new configuration wizard that allows new devices to be activated without a connection to iTunes. 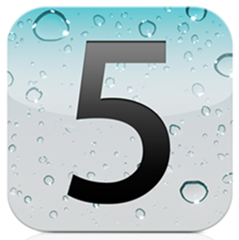 The final version of iOS 5 will be available to public this fall, according to Apple.